Lets say say goodbye to the 2017 and welcome the New Year in a truly champagne style among glitter decorations. It will be an all night long party inspired by the '70s, with the atmosphere of funk, soul and disco music. 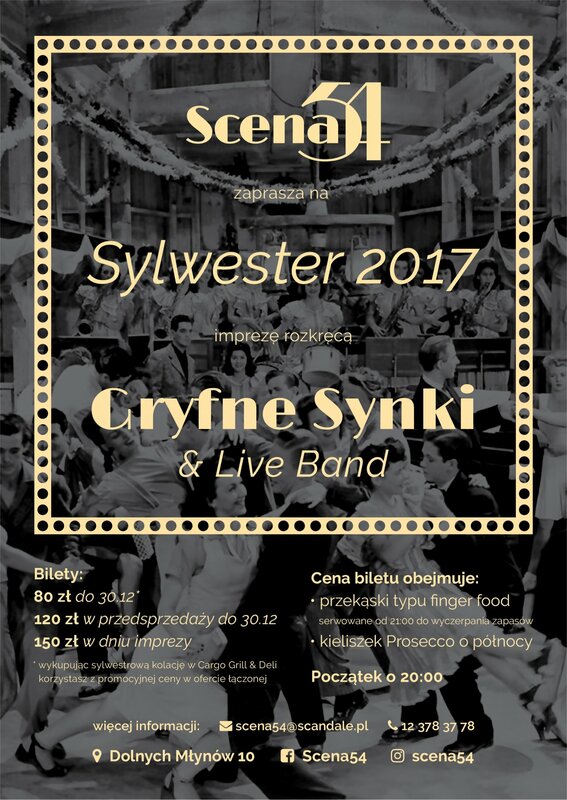 they set up GryfneSynki & Live Band - two DJs (A.HIM and Arkus) from Silesia, who are in love with music black music will They they play mainly Funk / Soul / Disco music as well as contemporary hits in original arrangements. In collaboration with The Live Band, they give show full of positive energy and mCglennSKii is leading the audience to the dancefloor madness. Begin the evening with supper at Cargo, continue the fun in Scena54.